On February 16th 2018 (China time) we enter a new Lunar Chinese year (year 4716th) in the Chinese calendar), the year of the Yang Earth Dog (Wu Xu). Please do not get confused with solar and lunar calendars, more on this below. Chinese New Year (according to the lunar calendar) starts on the 16th February 2018 and is hugely celebrated worldwide by the Chinese. The Chinese New Year heralds new beginnings and a fresh start for all. On a social level, Chinese New Year is very much a family event and is a time of reunion, forgiveness, sharing and thanksgiving with festivities. 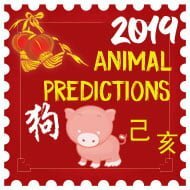 In 2018 Chinese New Year falls on Friday 16th February at 05.05 China (Lunar calendar), Thursday 15th February at 21.05 United Kingdom, Thursday 15th 13.05 California USA, and Thursday 15th 22.05 Barcelona Spain, a full list of all the other countries can be found below. Due to time differences around the world, Chinese New Year will fall what appears to be a day early in some countries. Below you will find a Chinese New Year world time converter table to assist you. 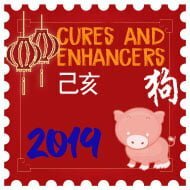 This is the date you celebrate the Chinese New Year with Ang Pow, fireworks etc and not the date you use to place your 2018 cures and enhancers in Feng Shui (February 4th 2018). The Lunar Chinese New Year Day is very different from the Solar (Hsia) New Year Day. The Lunar Calendar formulates the days of the month according to the cycle of the moon whereas the solar year is governed by the sun. Although the Chinese solar year starts on a different date from the western year, the theory whereby the year is calculated on how long it takes the earth to go around the sun is the same. Whilst the solar (Hsia) calendar starts the New Year at the beginning of Spring, which falls normally between the 3rd and 5th of February, the lunar (yueh) calendar marks the New Year on the second New moon after the winter solstice. In 2018, Lunar Chinese New Year also called the ‘Spring Festival’, falls on 16th February, which is the New Year that is celebrated by all ethnic Chinese. 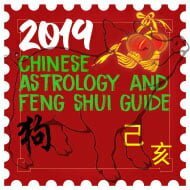 The solar New Year (4th February 2018) is not celebrated at all and only used for Feng Shui placement. The Yellow King’s appointment was held in the spring of 2697 B.C. But they used the winter solstice day as the first day of the year. So, the first winter solstice was on around December 23rd, 2698 B.C. Today’s January 1st means nothing to the Yellow King. If we count that extra eight days in 2698 B.C. for a year, then year 2018 is the 4716th Chinese year. Chinese New Year 2018 World times. Friday 16th February 2018, 05.05 Hong Kong time. Sunday, 4 February 2018, 05:38 Hong Kong time. The solar calendar is what we use when placing annual Feng Shui cures and not the day you would celebrate the New Year (times below). Since I live in the USA – Texas and according to the World Times Converter the day for placing cures is Saturday Feb 3. Is this true? Also do I move the bedroom back to the South, Southeast, and Southwest on that day? In 2017 I moved the bedroom to the living room because it in the East, Northeast, and North and also the TV in the Center. I forgot if it was in Feb or Jan (Chinese New Year). Also it seems for the USA, Chinese new year’s eve is on Wednesday Feb 14 and NY Day is Thursday Feb 15, am I wrong? 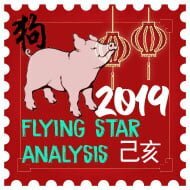 We have Lunar and Solar Chinese New Year – Lunar New Year is the date where you celebrate Chinese New Year and Solar New Year is the date where the Flying stars change and when you place your cures and enhancers for the year ahead. You can place your cures any time from the 3rd February and can move your bedroom from this date.